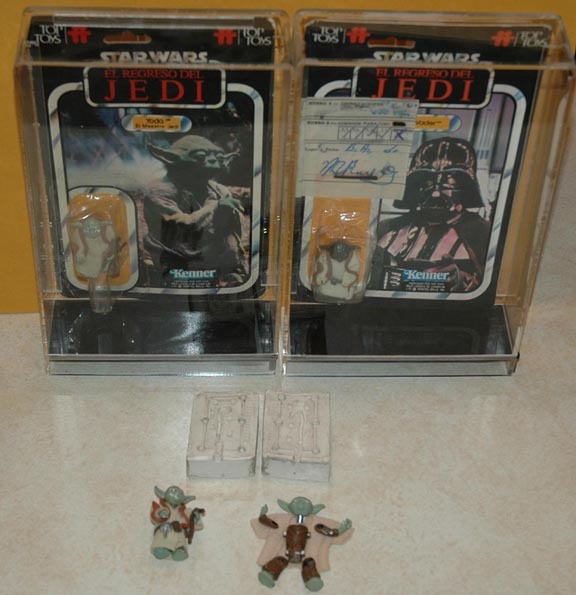 Pictured here is a hand-painted Top Toys Yoda (El Maestro Jedi) hardcopy. Painted hardcopies like this one, known as paint masters, would have been used for a variety of purposes including photography, samples for trade shows like Toy Fair, or examples of color scheme for foreign vendors. 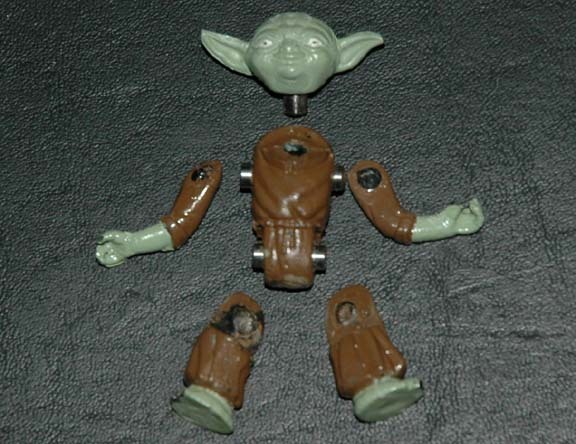 This particular one was created in-house at Top Toys and probably used to test the color matching capabilties for this particular figure to match the US and other foreign licensed paint decos. If you look at the photo you can see that this foreign hardcopy is held together by metal pins as most domestic harcopies would have been, though these pins are a bit thicker than the style used domestically. This image is a side by side comparison of the hardcopy (left) next to a production figure (right). The next image is of the prototype (left) and production (right) cloaks. 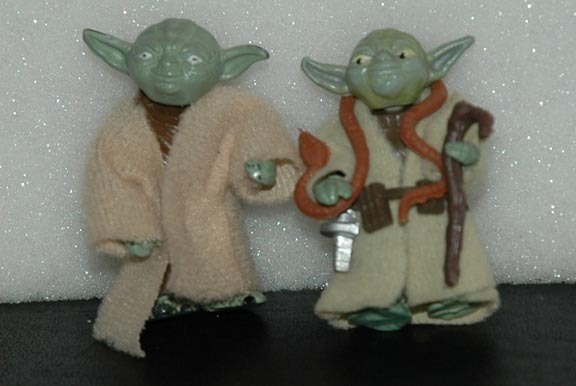 Next we have both of Yodas sporting thier Jedi robes. 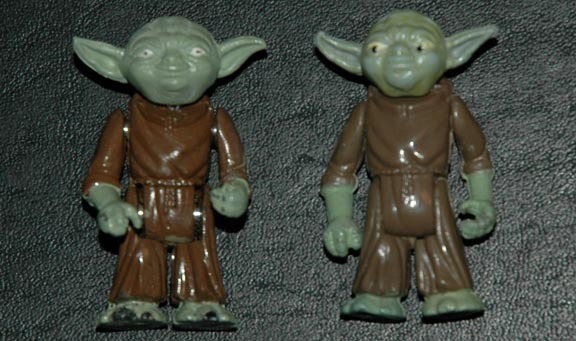 The Yoda figure is one of the harder to get Top Toys figures so it's a treat to see a prototype of this rare figure.